Grip Guard's Safety Matting solutions ensure safety and sanitation while protecting floor surfaces. All our safety matting products conform with the requirements of the Australian standards and are tested by NATA approved labs. Manufactured for the highest possible level of wear resistance, these products come in a range of colours. StepRight® architectural entrance matting is designed and manufactured in Australia from heavy duty anodised aluminium treads to provide an attractive, safe and easily maintained barrier between internal building conditions and the external environment. 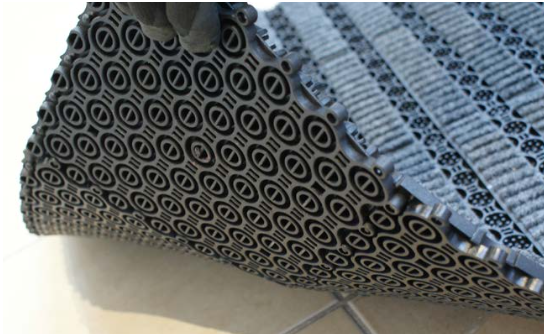 The intelligent design combination of protruding finger like rubber nodules and carpet insert, make Grip Guard's StepRight® Modular Matting extremely hard wearing and effective, removing dirt and water from footwear when approaching from all directions. 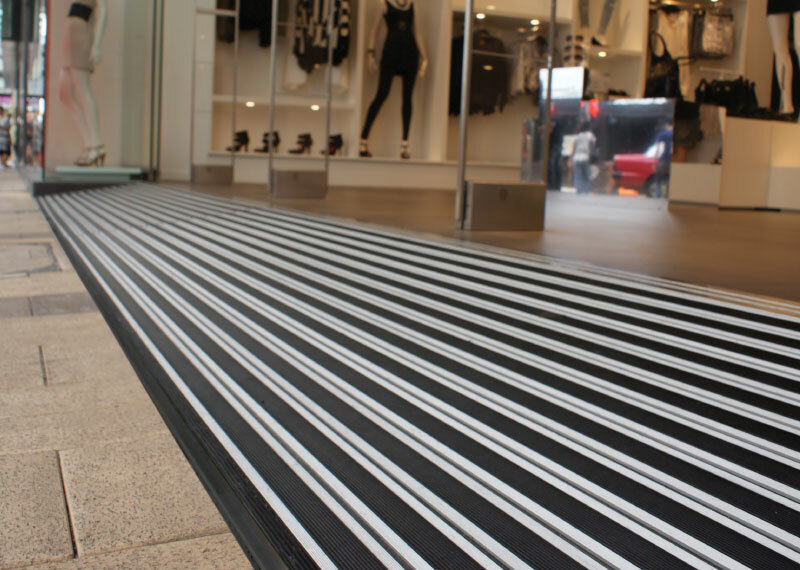 MaxiGrip is a long lasting, highly slip resistant safety matting suitable for use in slippery or icy conditions. It is Ideal for use in both internal and external applications needing anti-slip and anti-fatigue matting. These can also be as anti-slip sound absorbing matting.